Whether it’s your first appointment or you’re a regular patient, we take your oral health very seriously. With Loftin Dental, you can expect a thorough exam and cleaning in a relaxed and comfortable environment where you’re surrounded by our friendly and professional team. "I have never enjoyed going to the dentist and therefore have skipped cleanings or held off on treatments. However, Dr. Loftin and his staff have made my experience much more positive. They make sure I am comfortable and make it so I no longer dread appointments. I now know I will be keeping up on my dental health." Removal of plaque: Plaque is a sticky, almost invisible film that forms on the teeth. It is a growing colony of living bacteria, food debris and saliva. The bacteria produce toxins that inflame the gums. This inflammation is the start of gum and tooth disease. I Have A Tooth Ache. What Do I Do? Everyone’s tolerance is different. If you are uncomfortable and the pain is getting worse and worse, please call us and we will fit you in to see Dr. Loftin as soon as we can. If it’s over a weekend or after hours, we ALWAYS have a phone number to either reach Dr. Loftin or our on-call emergency dentist. My Tooth Chipped/Cracked. Can You Fix It? Yes! If your tooth is broken, chipped, or fractured, call us as soon as possible. It’s always best to catch this quickly so your tooth doesn’t become further damaged or possibly infected and causing you pain. Worst case, if you wait too long, you could possibly lose your tooth. If your tooth is painful, take your regular over the counter pain reliever. Rinse with warm salt water. If the chip/crack in your tooth has resulted in a sharp, jagged edge, cover it with a piece of paraffin wax or sugarless gum. This will help keep it from possibly cutting your tongue or the inside of your lip or cheek. If you eat, try softer foods and avoid biting down on your broken tooth. Biting on it may cause the crack/chip to get bigger. Treatment for a broken or chipped tooth will depend on how severely it is damaged. If only a small piece of enamel broke off, the repair can usually be done simply in one office visit. A badly damaged or broken tooth may require a more lengthy and costly procedure. My Tooth Is Loose And It Shouldn’t Be. Be careful not to swallow it. Please call us and we will fit you in to see Dr. Loftin as soon as we can. If it’s over a weekend or after hours, we always have a phone number to either reach Dr. Loftin or our on-call emergency dentist. My Tooth Is Sensitive To Temperature Or When I Bite. Everyone’s tolerance is different. It is important not to ignore your symptoms as it could be a sign of something more serious like a cracked tooth, gum recession or tooth decay. We don’t want you to lose your teeth. If you are uncomfortable and the pain is getting worse and worse, please call us. We will fit you in to see Dr. Loftin as soon as we can. If it’s over a weekend or after hours, we ALWAYS have a phone number to either reach Dr. Loftin or our our on-call emergency dentist. My Tooth Is Looking Darker To Me. A dark spot on a tooth typically means you have a cavity and needs to be evaluated immediately. If ignored, it can cause significant loss of tooth structure, you can be in pain or you can ultimately lose your tooth. Even if you’re not in any pain, please call us and we will fit you in to see Dr. Loftin as soon as we can. If it’s over a weekend or after hours, we ALWAYS have a phone number to either reach Dr. Loftin or our on-call emergency dentist. What Do I Do If I Have Swelling Around My Tooth? This may be a sign of infection. Determine if that area is sensitive to hot or cold or to pressure. It’s best to call us and have Dr. Loftin take a look. Based on what you’re experiencing at that moment you call, we may prescribe you an antibiotic to get the swelling down before we see you. My Gums Bleed When I Brush Or Floss. They Always Hurt. In many instances, swollen and bleeding gums are a sign of gum disease. However, there are a number of other things that could be causing your gum problems. Whatever the cause of sore, painful gums, there are steps you can take to minimize gum damage and discomfort. Use a soft bristle brush. Medium or hard bristles can cause red & swollen gums. Brush gently in circular motions. Brushing hard in back/forth motion will cause soreness, bleeding or even recession. Brush and floss at least twice a day. Floss by sliding up and down between your teeth and then following the curve of each tooth. Flossing hard or quickly will cause some swelling, bleeding and may not remove all plaque. How Do I Prevent My Gums From Getting Sore, Bleeding Or Swelling? Brush your teeth at least twice each day. Make sure you follow proper brushing technique. If you’re not sure what to do, ask your dentist or dental hygienist for a quick lesson at your next appointment. Floss daily. It doesn’t take more than a few minutes, but flossing may be the most important thing you can do to prevent gum problems now and in the future. Eat a well-balanced diet. A balanced diet, including plenty of vitamin C and calcium, may minimize the likelihood you’ll have gum problems. Drink plenty of water. Drinking water, especially after eating, can help wash food off your teeth and make it less likely that bacteria will form gum-damaging plaque. Say no to tobacco. If you smoke cigarettes or use other tobacco products, try to quit. Be cautious about extremely hot or cold foods and drinks. When you have gum problems, you may find you’re more comfortable having lukewarm or cool foods and beverages. Relax. Being stressed out raises levels of the stress hormone cortisol, increasing the likelihood of inflammation throughout your body, including in your gums. Do I Have Gum Disease? What Is Gum Disease? More than three-quarters of American adults over age 35 get periodontal (gum) disease. While most people with gum disease have the less severe form, called gingivitis, between 5 percent and 15 percent have a much more serious type of gum disease known as periodontitis. When you don’t practice proper dental hygiene, bacteria in the mouth forms plaque on the teeth. These bacteria may cause your gums to become inflamed, which results in red, swollen, or bleeding gums. For many people with gingivitis, this inflammation is not painful. If you catch gingivitis early, it can be reversed and healed with proper oral hygiene. But left untreated, gingivitis can worsen and ultimately lead to tooth loss. I Have Bad Breath. What Can I Do? What Causes Bad Breath? There are various reasons you may have bad breath, but in healthy people, the major reason is due to microbial deposits on the tongue, especially the back of the tongue. Some studies have shown that simply brushing the tongue reduced bad breath by as much as 70 percent. If you wear dentures, clean them thoroughly before placing them again. See Dr. Loftin regularly. Get a check-up and cleaning at least twice a year. Saliva flow almost stops during sleep and its reduced cleansing action allows bacteria to grow, causing bad breath. Foods containing odor-causing compounds—enter the blood stream and are transferred to the lungs, where they are exhaled, causing bad breath. In most cases, we can treat the cause of your bad breath. If it is determined that your mouth is healthy, but bad breath is persistent, we may refer you to your physician to determine the cause of the odor and an appropriate treatment plan. What Do I Do If I Have Jaw Pain? Noises in the jaw joint, the TMJ, are extremely common in the general population. Like any joint, such as the hip, shoulder, or wrist, the TMJ muscles in your jaw can be strained or injured. Joint problems involving the TMJ are slightly more common in women than men. The injury can be the result of a specific trauma to the jaw or can result from prolonged micro-trauma from oral habits. There are also other causes for jaw problems as well. Once a joint or muscle is strained, it can be easily re-injured. Because we use the jaw for so many activities (talking, eating, yawning, laughing, etc. ), the joint and the muscles are constantly moving. Therefore, total relaxation of the jaw joint and surrounding muscles is difficult. Holding the jaw muscles and joints in a relaxed position is, however, very manageable with practice. Regular attempts to relax the jaw muscles, and avoidance of activities that would overwork the area, will be helpful to reduce pain and prevent additional strain to the area. Apply moist heat for 15-20 minutes, two to four times each day, to the painful area. For example, microwave a gel pack or hot water bottle and a wet towel until they are very warm. Wrap the towel around the gel pack and hot water bottle and put it on both sides of your jaw, going under your chin, or to one side and then the other side of your jaw. This should feel very warm but comfortable. Also, try using ice wrapped in a very thin cloth (or no cloth) for 5-10 minutes, two to four times each day. The ice may initially give you a “burning” sensation, but this is normal. Keep the ice on the painful area only until you first feel some numbness, then remove it. Heat or ice can reduce joint or muscle pains and relaxes the muscles. You may also find that cold followed with heat is useful. Experiment. Eat a pain-free diet. Avoid hard foods, such as French bread or bagels. Avoid chewy foods, such as steak or candy. Cut fruit into small pieces and steam vegetables. Chew foods on both sides. Avoid caffeine. Caffeine is a muscle tensing drug that can make your muscles feel tighter. Caffeine or caffeine-like drugs are in coffee, tea, soda, chocolate and some aspirins. Decaffeinated coffee typically has half as much caffeine as regular coffee. Avoid habits that strain your jaw muscles and joints, including teeth clenching, grinding, biting cheeks or lips, pushing you tongue against your teeth, jaw muscle tensing, biting pens or pencils, chewing gum and resting your jaw on your hand. When you feel like yawning, put your tongue hard against the top of your mouth and let your mouth open as far as it can without letting your tongue off the top of your mouth. You can also put your hand under your jaw to limit the opening. Avoid stomach sleeping since this puts strain on the jaw and neck muscles. Sleeping on your side is okay as long as you do not put a force on your jaw. Sleeping on your back is best. Recognize that this is not a life-threatening situation, even though it can be very uncomfortable. Injury to the TMJ and jaw muscles is extremely common, and locking of the jaw is not uncommon. Most often, these symptoms will improve over time. Changing habits, relaxing the area, avoiding additional strain or injury and doing the above should speed up your recovery considerably. I Just Had A Root Canal, What Can I Expect? It is normal to feel some tenderness in the area for a few days after your root canal treatment as your body undergoes the natural healing process. You may also feel some tenderness in your jaw from keeping it open for an extended period of time. These symptoms are temporary and usually respond very well to over-the-counter pain medications. It is important for you to follow the instructions on how to take these medications. Remember that narcotic medications, if prescribed, may make you drowsy, and caution should be exercised in operating dangerous machinery or driving a car after taking them. Your tooth may continue to feel slightly different from your other teeth for some time after your root canal treatment has been completed. If you have severe pain or pressure that lasts more than a few days, please contact us. I Just Had A Crown Put On, What Can I Expect? You should treat your new tooth just as you would your other teeth. Daily flossing and brushing after each meal will help keep the gums and the remainder of the tooth under the crown healthy and free from bacteria, which can cause gum disease or even re-decay of the remaining tooth structure. While we often call these crowns ‘permanent’, nothing can really last forever. Most insurance companies will consider a crown a success, and pay for its replacement, if it serves you daily for 5 years. We want to see it last much, much longer. Avoid chewing on ice and hard foods such as nuts which can crack or break your new crown. Do not be afraid to chew a normal diet because with proper care your new crown will last you for a very long time. New crowns can take just a little getting used to. Usually your teeth will mesh perfectly even before you leave the dental office. If, after a few days, you still think that your new tooth is ‘high’ please let us know so that we can quickly take care of it for you. It is not abnormal to have some slight sensitivity to air or cold for a short while after you have your crown installed. 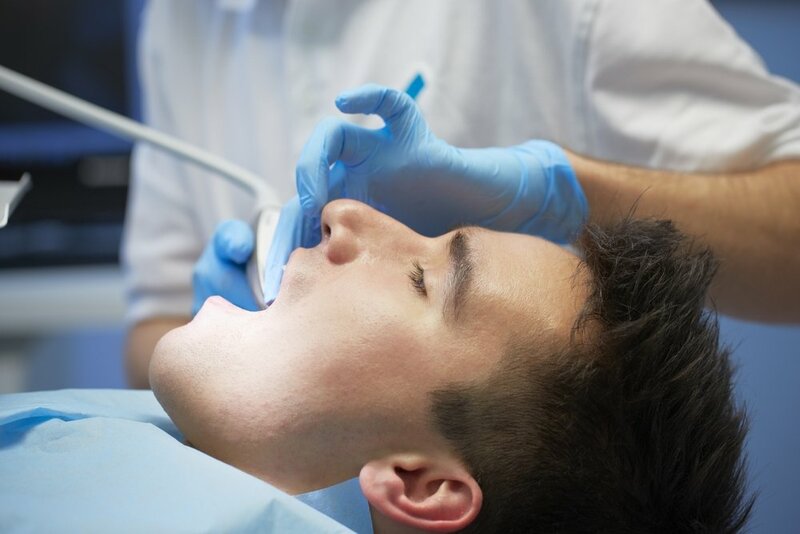 Remember that you have had delicate surgery to hard tissues in your mouth and that, after recovery, your new crown will become such a part of you that you will probably even forget that you had the procedure done. We want you to have many years of enjoyment eating and smiling with your brand new tooth! What Do I Do If My Crown Falls Off? First, get the crown out of your mouth. You don’t want to risk swallowing it or accidentally breathing it in. If you swallow it, it will probably pass without a problem, but after it’s been through your digestive system you probably don’t want it back in your mouth. Call us and let us know that your crown fell off and we’ll schedule an appointment for you, hopefully on the same day, but at least within a few days, as long as you’re pain free. Examine the crown, if your tooth fractured and is inside the crown, you will have to see Dr. Loftin before anything can be done. If the crown looks hollow or if it is not hollow but there is a small metal rod coming out of it (about the width of a paper clip), then you should be able to temporarily cement it back into your mouth before seeing Dr. Loftin to get it permanently cemented. Before proceeding, check with us to see if it will be alright if you use temporary cement from the drugstore to temporarily put your crown back on. Next, you will need to have some temporary crown cement, which you can purchase at most any pharmacy. A popular brand name of this cement is Recapit Temporary Crown Cement, which is a temporary glue that will hold your crown onto its underlying tooth structure until you can get in to see a dentist. What Do I Do If My Temporary Falls Off? If it fits passively, put it back with some temporary cement from the drug store to protect the tooth integrity. Clean and dry tooth, but don’t overload the cement. It is important that it is fit in properly and you don’t use excess cement that could cause a gum problem or have the crown sit too high and causes a problem with your bite. If it does not fit or you are not comfortable, do not put it back. Call us and we will get you in as soon as able. If it doesn’t hurt, then it may be ok to leave it off for a couple days; however, your teeth can shift if your temporary is off more than a few days causing the permanent one to not fit. As long as there is no pain and you are comfortable, you can wait until normal business hours to take care of this.